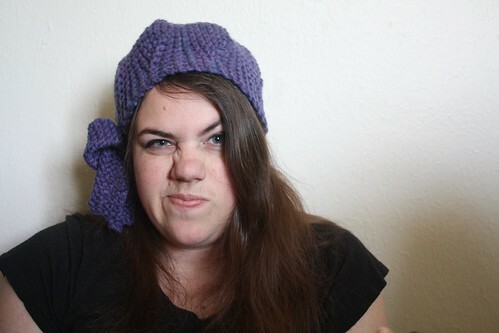 For whatever reason, while taking pictures of my Urchin, I made the dumbest faces. And of course, felt the need to share them with all of you. 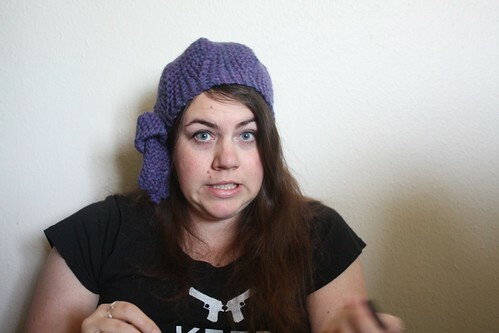 Stupid faces aside, this is probably my new favorite hat. 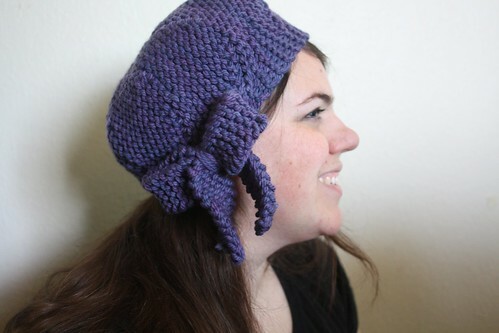 It’s Ysolda Teague’s clever Urchin hat, from Knitty Fall 2007. 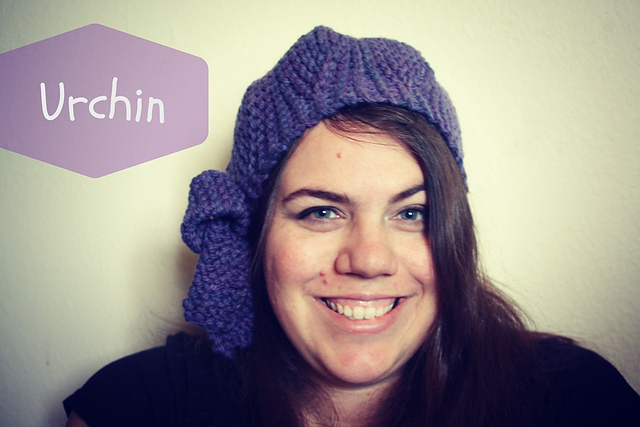 Constructed entirely in garter stitch short-rows this hat took me about 3 hours to knit. 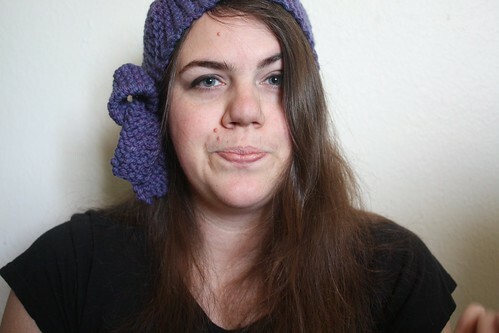 I added a bow to the side to use up the last of the yarn. 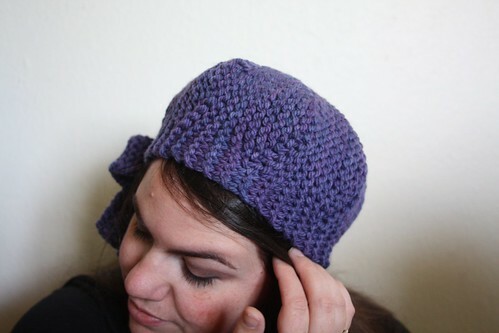 I used one skein of Malabrigo Chunky in the Violetas colorway. It’s cozy and warm and I love it. Love the bow!! Great job! Funny the resurgence in popularity Urchin’s having lately. It’s a great pattern! It is a great pattern!